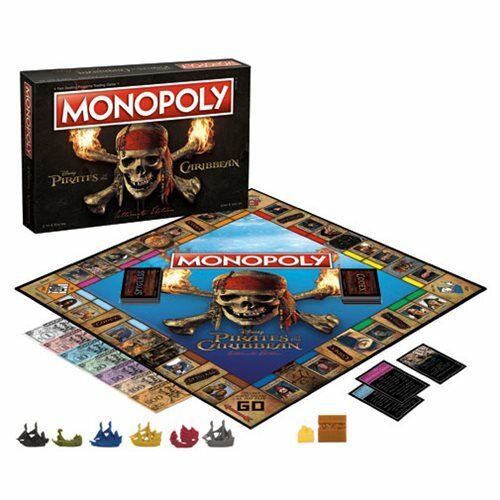 Create a historic pirate league of the greatest privateers and seafaring scoundrels as you buy, sell, and trade your way to rule the seven seas in the Pirates of the Caribbean Ultimate Edition Monopoly Game. Featuring iconic characters from all 5 of the Disney Pirates of the Caribbean movies, 6 collectible ship tokens, and custom pirate booty. This version of America's favorite board game promises to deliver the ultimate pirate adventure. Savvy? Ages 8 and up. 2 to 6 players.